When I was teaching at Georgia State University last Spring, I asked a local elected official to speak to my journalism class about media relations. The official showed up, then took me by surprise: He launched into a bitter rant about “so-called investigative reporters” who, he said, twist facts to suit a preconceived storyline. I was surprised because the official enjoys a pretty squeaky-clean reputation and has good relations with the media. (He asked me not to name him in this post). Although I challenged him by suggesting that investigative reporters serve an important function in a free society, he stuck to his guns. I enjoyed competing with Cardwell when we both worked in the news biz. He was friendly and gracious in the field. He did a lot of good work at WSB. 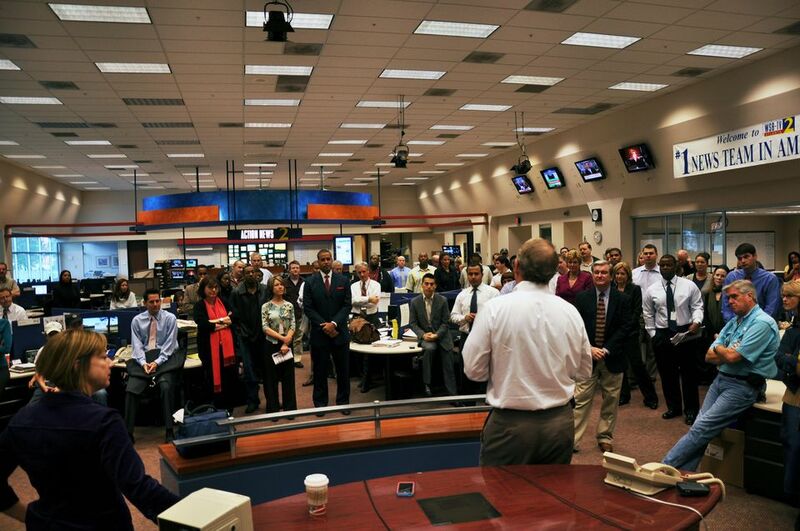 When his stuff appeared on TV, the volume was cranked up on TV sets in competing newsrooms. Cardwell was also probably the most polarizing reporter I’ve ever known. I can’t tell you how often I’ve spoken with politicians or bureaucrats with squeaky-clean records who’ve ranted about Cardwell — and like the guy in my class, strongly believed they’d been burned unfairly, years after the fact. 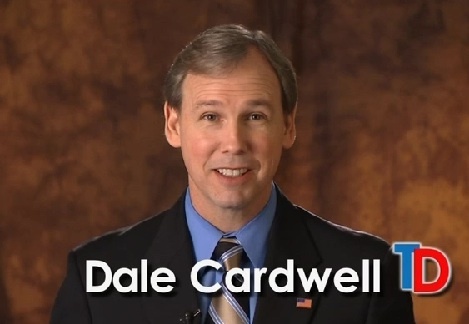 Now Cardwell sells Trust Dale, which recommends businesses who’ve paid Cardwell for the privilege and carry the imprimateur of Cardwell’s investigative approval. If there’s a conflict in those two criteria, Cardwell dismisses it in an interview with WXIA’s Valerie Hoff. As a guy who once left the news biz to become an entrepreneur, I’m disinclined to judge Cardwell. He deserves credit for apparently building a successful business at a time when the economy is punishing such folk. I also give him credit for finding the uniquest of niches. While many TV news expats try to parlay their journalism backgrounds (or celebrity status, such as it might be) into non-Fourth Estate careers, few do it as explicitly and as publicly as Cardwell. A video on Cardwell’s site describes him as “channel two’s Emmy award winning lead story investigative reporter,” and a page shows an impressive list of investigative stories he produced. The site goes on to intertwine, seemingly as much as possible, Cardwell the former investigative reporter with Cardwell the businessman. The site includes a sizable list of clients, all of whom apparently get a custom video showing a flag-lapel-pin-wearing Cardwell endorsing the product or service. I will now admit that I once bought a piece of jewelry at Solomon Brothers because I’d repeatedly heard the name on commercials voiced by radio host Neal Boortz. Cardwell is basically doing the same thing, except he would tell you his endorsement carries investigative heft. And yet, I know an elected official or two who would probably disagree very strongly. This entry was posted in cardwell dale, WSB on March 30, 2010 by live apt fire. Are there any scaffolding companies that he might suggest? If you can’t trust Dale, who can you trust…Great guy. Good friend. Trust Dale. It does have a nice ring to it. Journalistically Valerie should really have pushed Dale on this. He has pitched the story to several newsrooms including here. He came in to personally pitch the story to news managers. They passed because of concerns over the story. Dale’s site is different from let’s say Angie’s List which will have several businesses in a certain category that they have checked for quality and references. Dale only accepts one per category and it’s not clear how he decides which one other than who pays for his endorsement. It doesn’t appear he surveys past customers for their opinions on quality and workmanship. Basically it’s a paid endorsement. It would have been nice if Val spent a little more time pointing that out. If I select someone Dale endorses and they do a lousy job does Dale promise me that he will go after the contractor or business? Kudos for Dale for finding a way to market his name. A pity Valerie and and WXIA didn’t push the issue as journalists. It’s a legit story, but there needed to be a lttle more journalism than a puff piece about Dale. It’s an interesting business, but from a news and journalism point of view the story was lacking and shallow. Valerie Hoff does a short, friendly segment on WXIA called “ways to save.” She showed Cardwell’s site as a potential resource for consumers. She raised the question about Cardwell’s paid endorsements, giving the appropriate message of caution. So it wasn’t “lacking.” Apparently what was lacking was WGCL’s coverage of this “legit” story. If this was such a great journalistic opportunity, how come you passed on it, Tough Guy? More like trustMichael Carlin. It does have a nice ring to it. There are many listings on the site that Dale recommends, but doesn’t have a marketing plan with them. Such as 5/3 bank and many legal endorsements. The answer is YES! See the Make it right guarantee on the site. Thanks for the space to promote my brother! Wow…I just now got a chance to watch the video. Thought she was going to be asking him some “tough questions about being biase….oh, wait, wrong channel, this was on the coupon channel. Makes sense now. Seriously, I hope complaints against Trust Dale don’t start popping up on the BBB Web site. First, I want to thank Doug for creating a pretty good insight into TrustDale. The short story is, I reached a point in my career where I could step outside of WSB, pick up a rock, throw it and hit a “bad” company. I realized there was a need for someone with investigative skills to research, qualify and present the good companies. What is a “good” company? In my view, a good company creates or sells a needed product or service, prices it fairly (as in no bait and switch) and most importantly, stands behind its performance with excellent customer service. This approach led me to create a formula with the acronym PBCCLLM. It’s a seven point check list I personally perform on every competing company I review. This is key to TrustDale: The company or service I recommend must agree to the TD Make It Right Gurantee, which means, if someone buys through TrustDale and has a bad customer experience, I will personally review their case (along with an independent expert in the field). If my expert and I agree the customer did not receive what they were promised, my partners have agreed to Make it Right up to the entire $ value of the product or service. That’s what makes TrustDale truly unique. 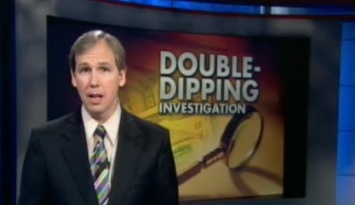 25 years as an investigative and consumer reporter taught me many things. Primarily, it taught me this: In Georgia (and most states) once you’re burned as a consumer, you’re burned. There is little recourse to be made whole. I want to help people make good decisions up front. It’s as simple as that. I’m wondering what the life-span of this idea is. That is, for the moment, people recognize that Dale is a former investigative reporter because that’s how they know him. At what point does it become so ubiquitous that the notion of “investigative report” becomes lost in the shuffle? I was watching tonight when TonyMcNary did his live shot regarding the 911 caller who got the run-around when he tried to report a drunk driver. Anchor in talked about Tony getting action. In his opening standup, he notes that he went to here, and there, and someplace else, to find out why the person was transferred so much. Here’s a hint; Your lead in should not say the reporter gets action when he didn’t even score a face to put on camera, much less a resolution to the issue. As slippery as Cardwell seems, post WSB, give him credit. Can you think of any former Atlanta television “star” reporter or anchor who has actually found success beyond local (I’m not talking Robins Roberts or Forest Sawyer etc)? It remains to be seen if this venture will succeed , however, the landscape is littered with the mortal remains of those journalists who thought they could make a living with their own commuication firms, crisis consultant agency or “teacher cred” at some Ma and Pa College (Good afternoon Professor Rhubarb). Making calls on behalf of some PR firm in Buckhead or Midtown isn’t success. And it doesn’t count if you were some intrepid general assignment reporter covering house fires or were first on the scene of a fresh” killin” somewhere. Cardwell had star quality in Atlanta and he obviously is playing his hand (again). sorry, Jim, you may have missed the elements in the story where one of the local PDs and the GSP were not aware of the incident until we reported it and they both announced they are doing internal investigations. The one source in this case is the individual who kept calling and was able to produce a phone record showing his calls. Buyers beware. This man has become a sleazy business subsidized and paid off sell out. If you are smart beware — and DO NOT TRUST DALE!!! He needs to add another “P” to his acronym above. P for Payment from the company he endorses.